Each year, the Emmet County Prosecutor’s Office staff and its Victim Witness Advocate work behind the scenes to help those who bear the burden of crimes: the victims. In the past year alone, that meant assisting over 500 victims with court appearances and events, referrals to supporting agencies and correspondences that are often the result of criminal actions. The Prosecuting Attorney renders services that range from referrals for counseling services to assistance in the collection of restitution for victims, as well as serving as their advocate through the judicial process. Each year, the Emmet County Prosecutor joins with the National Center for Victims of Crime to recognize National Crime Victims’ Rights Week, which is April 19-25, 2015. “Millions of crime victims are helped each year and for them, it means that they are not alone to face the physical, mental and financial devastation of crime,” Linderman said. Before VOCA was passed in 1984, the world was a different place for crime victims, their families and communities. Local service providers who could meet victims’ needs for support, counseling or shelter were few. The criminal justice system often failed to recognize the victims’ need to be included in the justice process, and crime victim compensation programs were not consistently available. “We will continue on a local level to support victims of crime in whatever ways that we can, because as a community it is the right thing to do,” said Linderman. The National Center for Victims of Crime partners with the U.S. Department of Justice to raise the public’s awareness about the impact of crime on victims during National Crime Victims’ Rights Awareness Week. For more information about crime victims’ rights and witness assistance, visit the Emmet County Web site and the Prosecutor’s pages, at www.emmetcounty.org/prosecutor/. An online directory of service providers for victims of crime is also available on the site. 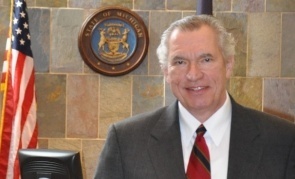 The Emmet County Prosecutor’s Office works closely with the Women’s Resource Center of Northern Michigan, Inc., in providing victims’ services. Services, support, advocacy and counseling are provided to some survivors of crime at no cost. The WRC’s 24-Hour Crisis and Information Line: (231) 347-0082 or (800) 275-1995 for long distance callers.